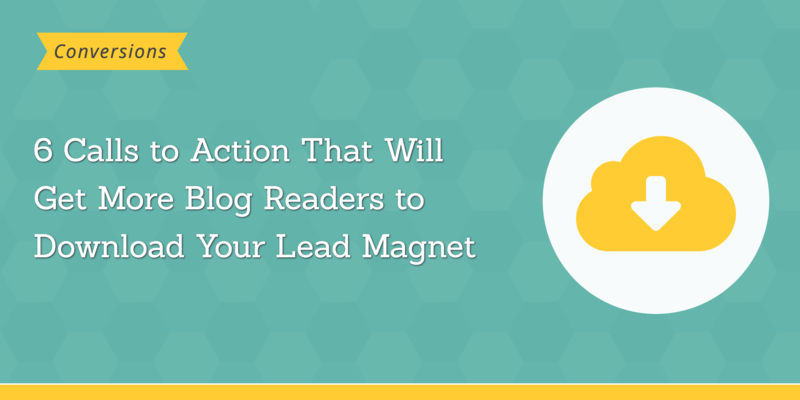 The best place to promote a lead magnet is your blog. For one, the majority of your visitors will land on blog posts first. How do you make sure that blog visitors discover your eBook or checklist? Sure, you could place a banner under the post, or in the sidebar to promote it. But given our diminishing attention span online, it’s almost certain that your readers will ignore then while skimming the page. So is there anything else you could do? And as a matter of fact, there is. 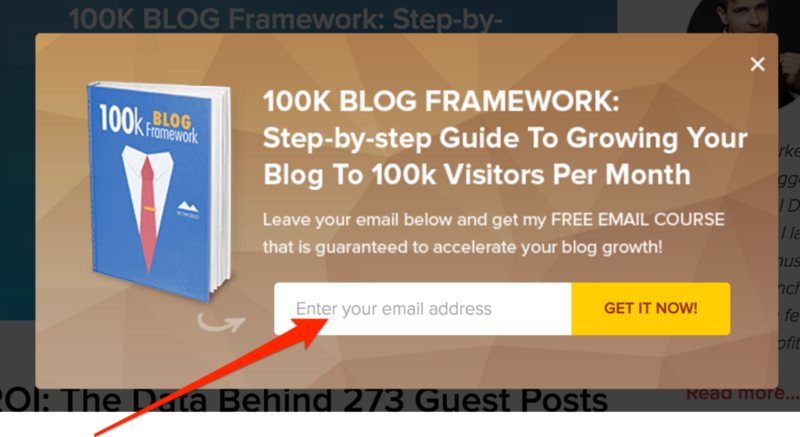 In this post, I’ll show you 6 different calls to action you could use to entice more blog visitors to download your lead magnet. I’ll also give you the best scenarios to use for each of these call to action types to increase your lead magnet downloads. I’m sure that like most people you have a love and hate relationships with email popups. As a web user, you probably despise them for interrupting your browsing experience. But as a marketer, you just can’t ignore the results they deliver. Plenty of research and marketing experiments have proved that popups can convert at a high rate. For Nikki McGonigal, the author of the Nikki, in Stitches blog, for example, moving to a popup increased her conversion rate to 5.5% (compared to 0.4% of the sidebar banner she was using before). Brian Dean from Backlinko reported that just two days after launching a popup, his conversion rates went up from 1.73% to the average of 4.85%. Although they might seem irritating at first, popups do work and help convert visitors into subscribers and leads. And you can use them to notify your audience of your lead magnet. Various software packages allow you to install and use popups on your site, Wisepops, Thrive Leads, and much more. To ensure the highest possible conversion rate, target the most engaged readers. Instead of firing off the popup immediately after a person has visited your site, delay it by a couple of seconds (or until they’ve read a specific percentage of the page). True, you might display the popup to fewer readers. But these will be the people who have already had a chance to engage with your content and received some value from you. As a result, they’ll be more likely to convert into email subscribers. Exit popups work just like any other website popup. However, instead of targeting visitors who are reading the content, they display when a person indicates that they’re about to leave. And so, the goal for using exit popups is to stop a person in their tracks and engage them by presenting a relevant offer and a call to action. 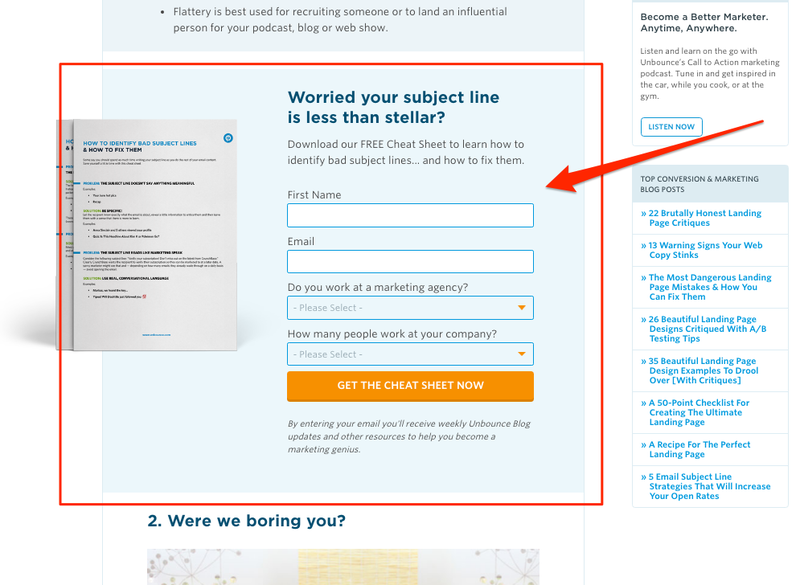 However, given the fact that you’re stopping someone in their tracks, you probably stand a better chance for conversion if you present them with a signup form directly on a popup. No matter what online reading pattern your audience uses to read your content, they’ll always start at the top of the page anyway. …your readers will always start at the top. And you can place a very powerful call to action right there, where they begin browsing the page. Known as the Ribbon (or a Hellobar, after the company that first launched it) this call to action allows you to position your message for practically every visitor to see. Now, I admit, HelloBar doesn’t convert as well as a popup. Yet, it contributes to the conversions and increases the likelihood of a visitor learning about your lead magnet. Users ignore anything that looks like an ad on a website. They exhibit a behavior called banner blindness. When it comes to promoting a lead magnet, it means that placing any call to action that resembles an ad will most likely get it ignored. And that, in turn, this poses a serious problem, particularly, if you wanted to use a banner in the sidebar to promote your eBook or a checklist. Why? Because its conversion rate might be ridiculously low. 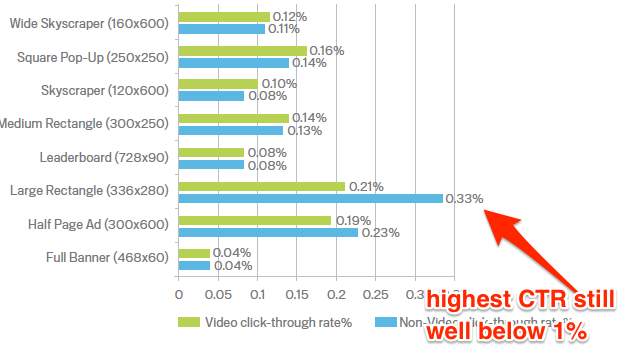 Just take a look at the average click-through rate of many banner ads. Even the highest CTR is still well below 1%. True, this data relates online advertising. However, I think we can safely assume that it would be no different for your lead magnet banner. So, what’s the solution? How can you make more people to notice your banner? 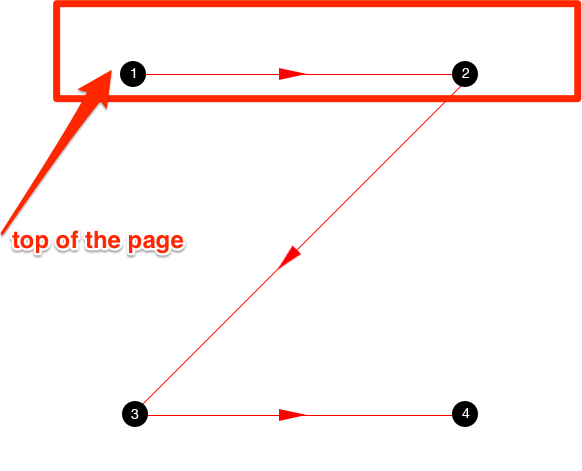 The answer – use a floating sidebar banner instead. 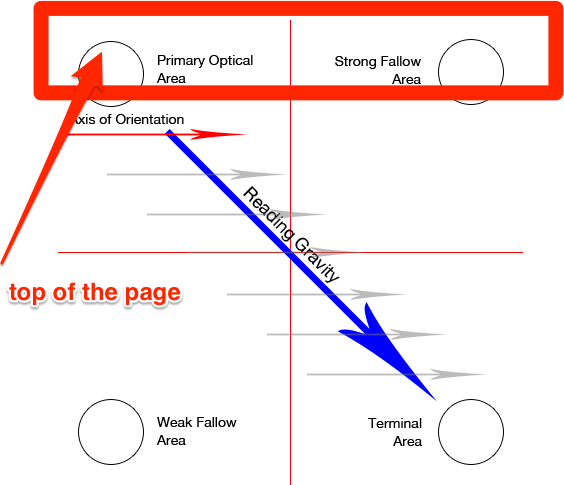 A floating banner is simply a standard banner that stays on the screen as the person scrolls down the page. So even though they’ve scrolled past anything in the sidebar, the banner remains visible. Well, it doesn’t increase conversions exponentially. But it ensures that a person doesn’t just scroll away from the call to action, and so, is more likely to notice it. The biggest challenge for converting visitors is to getting them to notice your offer. You see, studies proved that we pay close attention to anything that surprised us. And you can use a call to action that uses nothing but surprise – a slide-in. Slide ins typically appear on the side of the screen. Most websites place them in the bottom right corner, although you sometimes see them in other places too. The trick with the slide in is that it doesn’t appear right away. Instead, it slides out after a person has consumed a predefined percentage of the content. OK, but what’s so surprising about it? It’s the sheer action of sliding out. You see, a popup up distracts a person. After all, this call to action covers the screen right in front of the person. But a slide in appears on the side. So ultimately, what catches your attention is the movement, not the call to action. And if you think about it, most of the time, you glance at it, just because it surprised you. 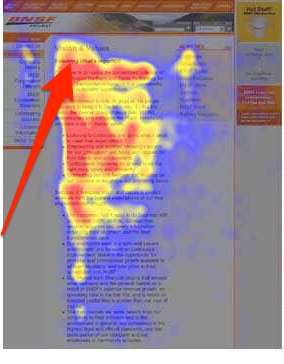 When someone’s reading your content, they most likely focus on your message, not what’s around it. That’s why you need to use strategies like floating banners or popups to break their concentration and make them notice your offer. But if you want to avoid doing that, there’s a solution too. Place the call to action right inside the content. As you scroll, reading the content, you suddenly come across a large call to action promoting a lead magnet. The rest of the content simply flows after the call to action. But the size and the placement makes the offer impossible to miss. Of course, you don’t have to use such a large call to action. 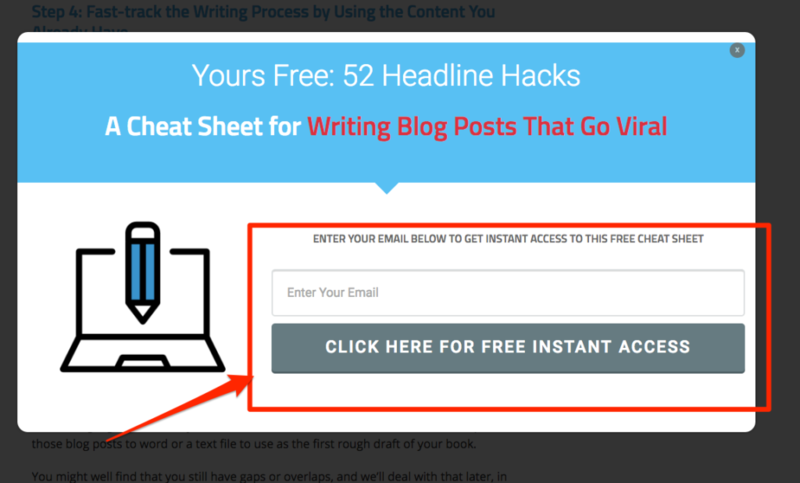 You could place a small banner that pushes readers to a landing page. Or a button that will open a popup signup box. Marketers often use this second method when offering content upgrades – shorter lead magnets like checklists or resource lists relating to that one piece of content only. 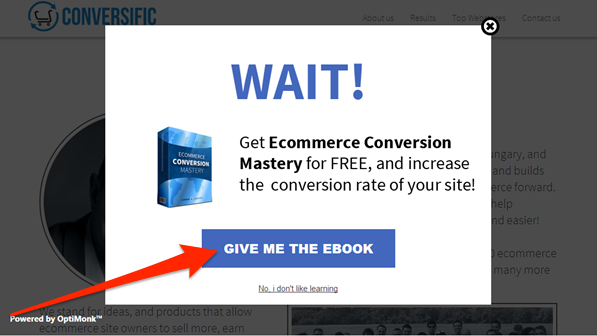 And here’s a popup they typically evoke. Whichever option you choose, make sure that you position the call to action close content that’s relevant to it in the blog post.